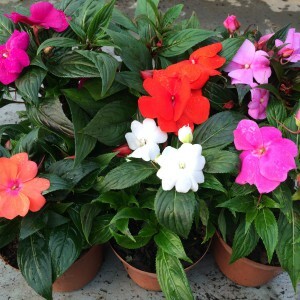 It’s hard to find striking colour contrasts as unique and vivid as New Guinea Impatiens. 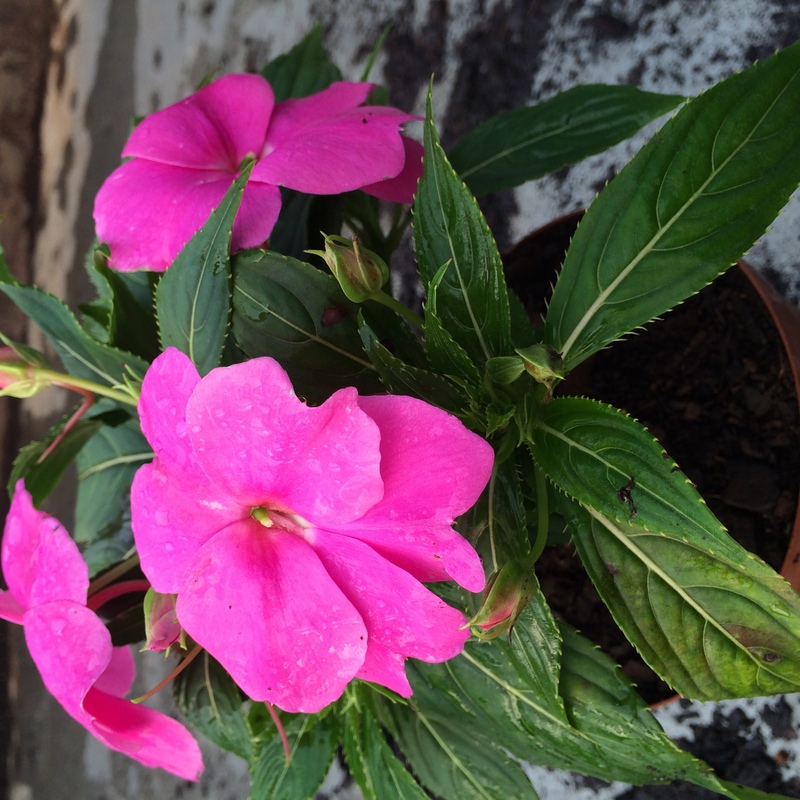 These hardy, easy-to-grow impatiens thrive in half sun/half shade locations and can be used to brighten up indoor spaces for several weeks at a time. 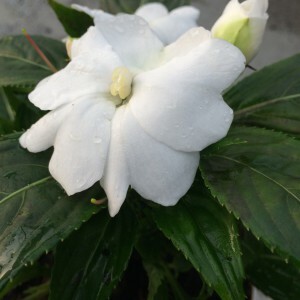 New Guinea impatiens have much larger flowers than the common bedding plant impatient. The colour combinations are endless, both in the blooms and foliage which may vary from variegated to tri-colour. Flower petals are typically vivid and striking, from stark white to multi-shaded pinks, blush and crimson – New Guinea impatiens are ‘big’ on colour! 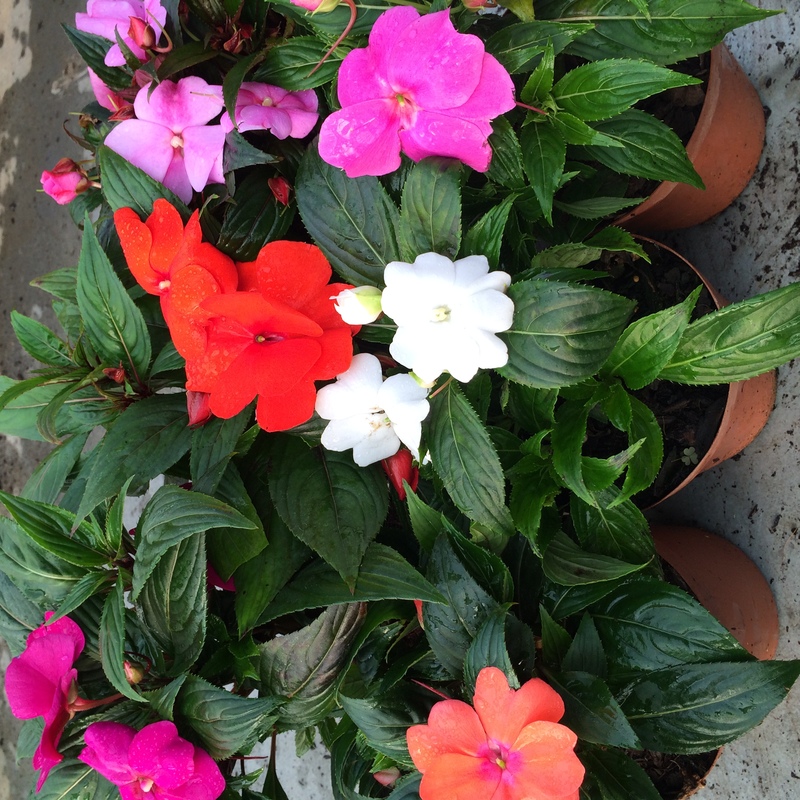 New Guinea impatiens are excellent container specimens suited to both individual and mixed plantings. They are a warm season crop and sun-loving, typically available in garden centres from August through to April/May. New Guineas are grown as perennials outdoors (in frost free areas) and are often brought into the home when flowering. They offer a striking, indoor plant that will brighten a room and add bold colour when entertaining. Flowering indoors last for up to 3 – 4 weeks. They can be grown indoors indefinitely, but in order to flower, need sunshine. We recommend alternating pots, positioning the New Guinea’s on a sunny verandah or window sill when not in full bloom. 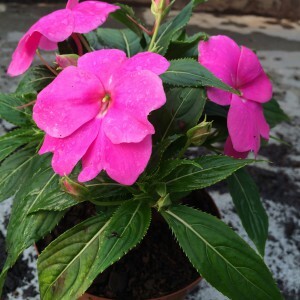 New Guinea impatiens are disease resistant, bushy and compact. They offer a stunning, low maintenance indoor option – albeit just for a few weeks at a time. Position: In a sunny location indoors, close to windows and bright light. When planted in the garden, allow for either morning or late afternoon sun. Half sun/half shade locations for containers and hanging baskets. 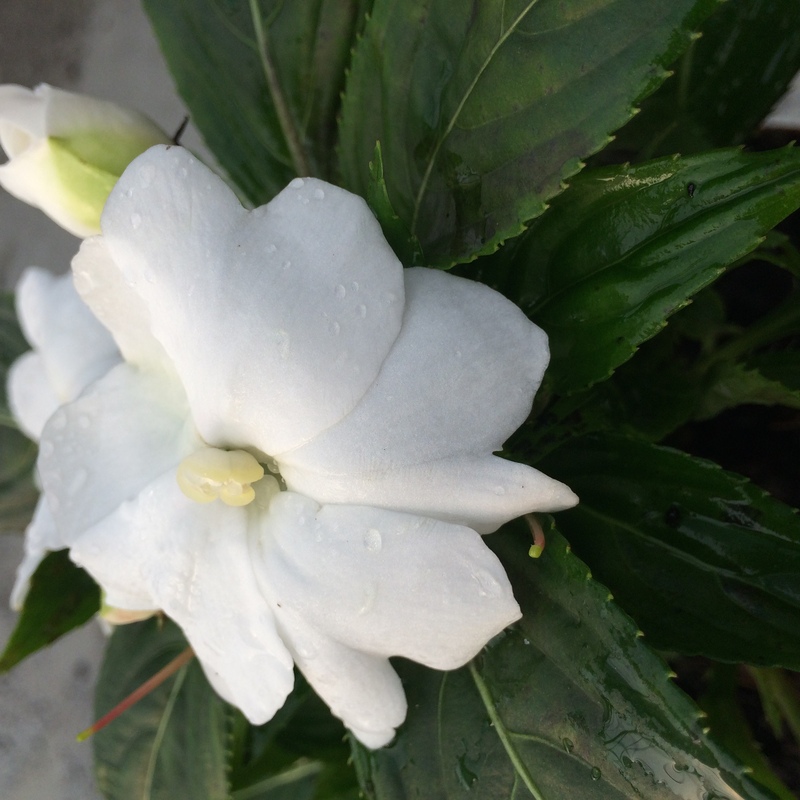 Watering: New Guinea impatiens are thirsty plants requiring regular watering. They are quick to wilt, so watch your plants and adjust the watering frequency accordingly. Drainage is essential, so do not allow container plants to get wet feet. Nutrition: Vivid colours require lots of energy, so ensure your New Guineas are well fed with a weekly dose of foliar fertiliser, as it is preferred over granular fertilisers. In flower beds, opt for high potassium fertilisers.